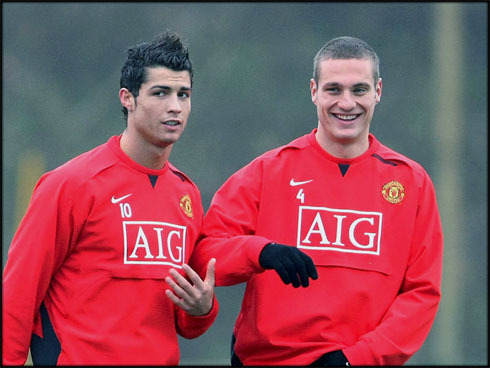 Nemanja Vidic and Cristiano Ronaldo played together in Manchester United for only 3 seasons (2006-2009), but according to the Serbian, that time was more than enough to realize that Ronaldo has been the best football player he has ever played with. 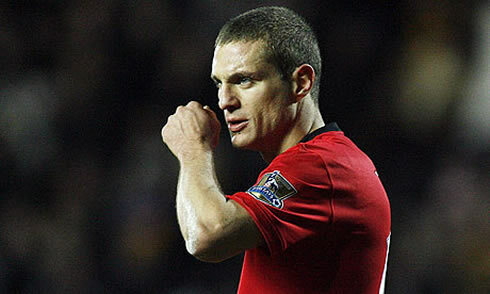 In an interview granted to FIFA's official website, Vidic unveiled some of his best moments of his career. Manchester United Serbian defender, Nemanja Vidic, granted an interview to "FIFA.com" earlier this week and took the opportunity to review some important moments of his football career. Among these, the Serbian center-back highlighted the years he played with Cristiano Ronaldo at Manchester United and had no doubts when stating that the Portuguese was the best player he has ever played with. This season, Vidic has been unfortunate with injuries, forcing him to miss most of the Red Devils games in English and European competitions. 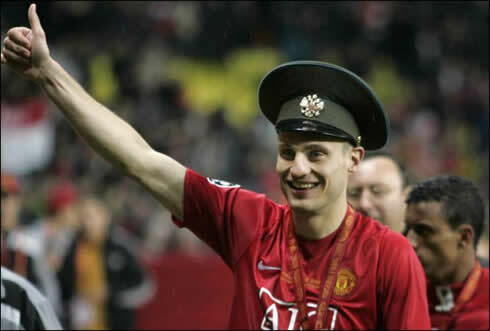 Nemanja Vidic arrived to Manchester United in 2006, in a transfer fee around 7 million pounds from his previous Russian club, Spartak Moscow. Ever since, the Serbian has been cementing a very important status at the club in a succesfull partnership with Rio Ferdinand. 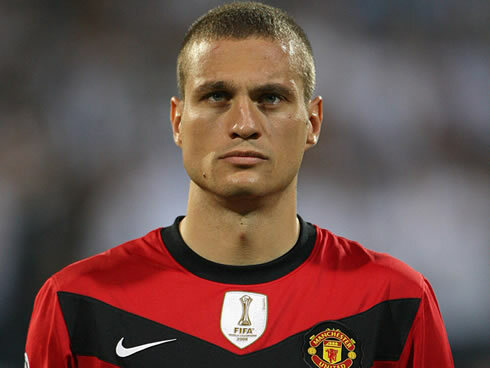 However, this season Vidic has been struggling with a knee ligament injury, which ruled him out for most of Man Utd games throughout the season. 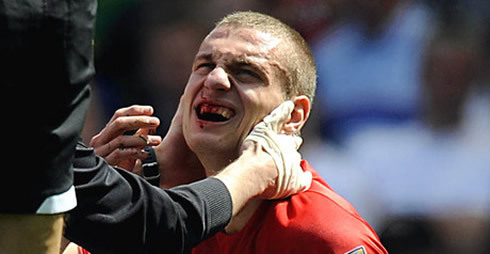 Vidic: "My knee is doing well now, as I am slowly getting better. Naturally, it will be hard for me to still play this season, but I'm confident I will return in good shape next season and be able to play again as I used to do before the injury", started by revealing the center back. About this year's title fight, the Serbian defender remains confident his teammates will be able to top Manchester City at the next derby and at the end of the season. 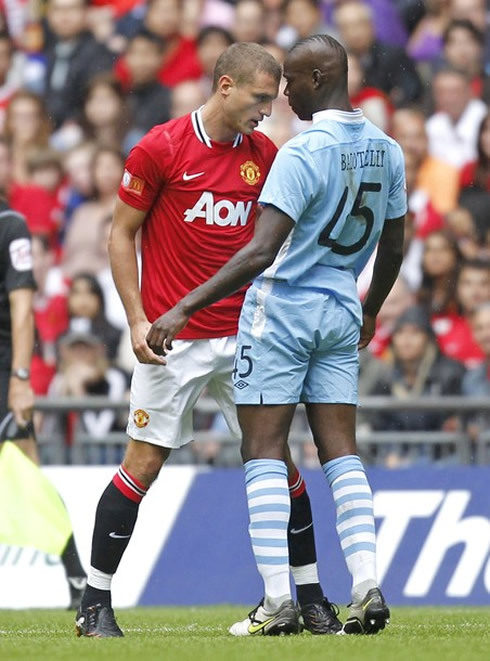 Vidic: "There's still a lot to play this year. But it's true that the Manchester derby can turn out to be decisive for the title race. It will be good for fans and the league in general, and whoever wins that game will certainly deserve to be crowned champions at the end of league campaign", remarked Nemanja Vidic. It's no secret that one of the reasons for Manchester United success over the last years lies in their manager, Sir Alex Ferguson. The former Spartak Moscow player reassured that the Scottish manager deserves all the credit and much more. Vidic: "Sir Alex Ferguson is definitely a special manager and we could point many things to justify it, such as the experience he has, the knowledge, or the titles he has won over the past years. At a first stage, it's all about the knowledge he has that allows him to understand and deal with the players and that's probably the best about him. Then we look at the huge amount of trophies he has already won for Manchester United over his 25 years at the club and we feel compelled to say that there is no one like him out there", claimed the Red Devils captain and center back, when talking about his coach. One of the questions being asked to Vidic regarded the best player he has ever played with and the best he has ever played against. The answer can't be seen as a very surprising one as the Serbian center-back elected Cristiano Ronaldo and Lionel Messi as his choices. 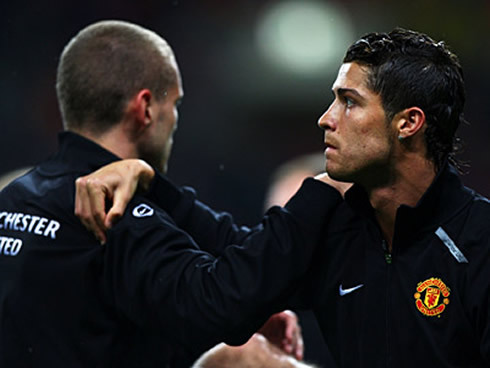 Vidic: "The best player I have ever played with would definitely be Cristiano Ronaldo. If you would ask me about the strongest team we had to face so far, I would go with Barcelona and Lionel Messi as the the most difficult player to deal with in a game. But it's really the whole team actually, specially Xavi and Iniesta, who have indeed impressed me a lot when we played against them", confessed the 30 years-old Serbian defender, before continuing to share his view on Barcelona and the Argentinian, Lionel Messi. Nemanja Vidic: "In my opinion, what makes it so difficult to play against Barcelona is that they don't play with a striker. By doing that and moving the ball as they do all over the pitch, always in possession and in control, they simply end frustrating their opponents. Moreover, they are all technically gifted and they do understand how the game is played very well, so they know what they are doing... It's a team that has been playing together with the same style for several years already and even when the opponents predict the plays they are going to do, they still find a way to make it happen! 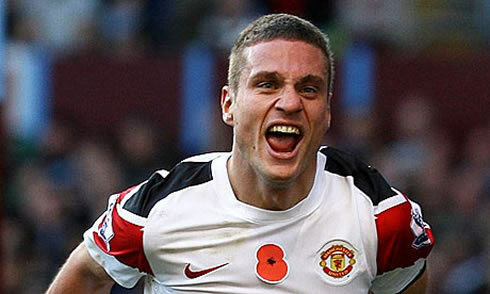 We really have to admit they are a great side", noted Vidic when praising Barcelona. Vidic: "Messi is a great player, but I think it's not just him and rather a generation of players that Barcelona have at the moment, as it is the case of Xavi and Iniesta. They already are in my opinion, one of the greatest teams ever in this sport", concluded Manchester United defender, Nemanja Vidic, on this interview to "FIFA.com". Real Madrid next game is for La Liga against Malaga, this next Sunday (18-03-2012). You can watch Juventus live stream, Real Madrid vs Malaga, Sevilla vs Barcelona and Wolves vs Manchester United and Chelsea vs Leicester, all from our football live streams section. Cristiano Ronaldo is expected to be on the line-up when Real Madrid takes Malaga at the Santiago Bernabéu, this Sunday.